Along with Plum, a brilliant young under­graduate with a dark secret of her own, Quentin sets out on a crooked path through a magical de­mi-monde of grey magic and desperate characters. But all roads lead back to Fillory, and his new life takes him to old haunts, like Antarctica and the Netherlands, and buried secrets, and old friends he thought were lost forever. He uncovers the key to a sorcerous masterwork, a spell that could create magical utopia, a new Fillory—but casting it will set in motion a chain of events that will bring Earth and Fillory crashing together. To save them he will have to risk sacrificing everything. 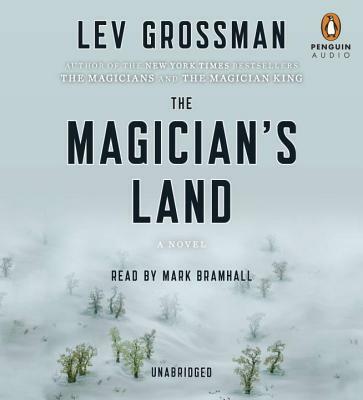 The Magician’s Land is an intricate thriller, a fantastical epic and an epic of love and redemption that brings the Magicians trilogy to a magnificent climax, confirming it as one of the great achieve­ments in modern fantasy. It’s the story of a boy be­coming a man, an apprentice becoming a master, and a broken land finally becoming whole. Lev Grossman is the book reviewer for Time magazine. In 2011 Grossman won the John W. Campbell Memorial Award for Best New Writer from the World Science Fiction Society. A graduate of Harvard and Yale, he lives in Brooklyn with his wife and three children.